Dahican Beach is a stunning seven-kilometer stretch of crescent-shaped white sand coastline and towering coconut trees along the sparkling turquoise waters of Mayo Bay facing the Pacific Ocean. It is situated 10 kilometers of downtown city proper of Mati in Davao Oriental, and is a widely popular beach destination for skimboarding and other watersports in Davao Region. About a hectare of the bay is a declared marine sanctuary because of its rich marine life, and where dolphins, sea cows, and sea turtles inhabit the waters of Dahican. 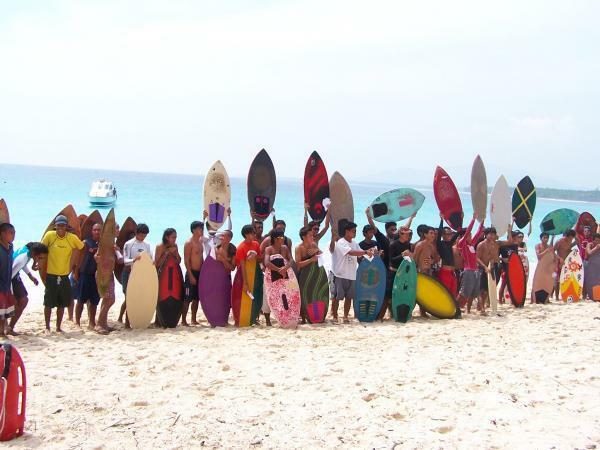 It is also home to the famous Amihan Boys of Dahican - a group of young homegrown skimboarders and surfers. Dubbed as the "Surfing Mecca" of Davao Region, the strong waves, towering to about 10 feet, that hit the shoreline of the beach, are just about the perfect kind of waves surf and skimboard aficionados are looking for - moderately strong but not too much. 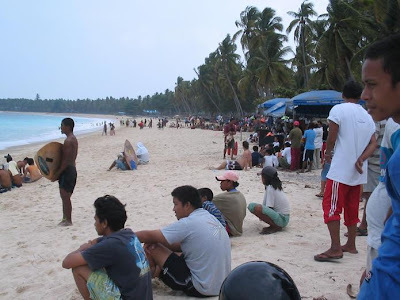 The cold wintry breeze dominates the season in Dahican beginning sometime in September or October and ends sometime in May or June, during which the waves for surfing and skimming are at its peak. 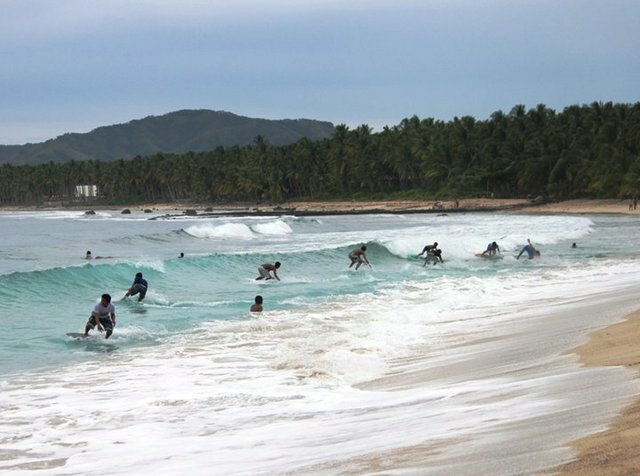 Although the waves and currents can be strong and treacherous during the monsoon months, Dahican Beach is still a perfect spot for skimboarding. Entrance to the beach is FREE and it is open to anyone. However, there are no accommodations for overnight stay at the beach, nor restaurants or convenience stores nearby and bringing of food and drinking water is encouraged. Pitching of tents is allowed for a small fee and a hammock may also be rented. 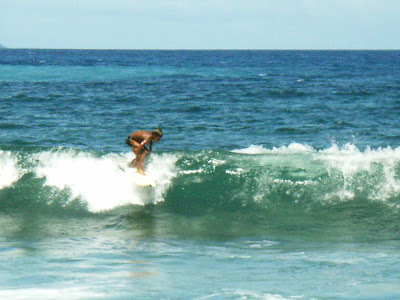 The Amihan Boys surf shack's kitchen may be used for cooking and does not carry any charge. However, bringing of own supplies such as charcoal and the like is also encouraged. There are other resorts along the coast of Dahican such as the Botona Beach Resort, Kubo sa Dahican, and Kanakbai which are a kilometer or two away. Dahican Beach is easily accessible by any means of transportation through mostly paved with occasional rough roads, and is only about 15 minutes away from the downtown city proper of Mati, some three to four hours drive from Davao City.